There's a reason I feel permanently uncomfortable at the moment. It lives right there in that sentence, in the pull between "permanently" and "at the moment." Since November 9, I have been trying to do something unnatural to me, which is to live equally attentively to This Moment Right Here and to The Looming, Broken Future of Uncertainty. As a poet, I specialize in This Moment Right Here--it's part of what makes me good with the youngest children. I can easily shut out the Big Picture and focus on the minute details of the concrete environment. At the same time, I can see the Big Picture (sometimes called "the curriculum"), the Exciting, Dependable Future, and I happily reach out to control it through planning--which is part of what makes me a good teacher. Now, we all know intellectually that the future is actually not very dependable, but look at the decades in which I have lived: I was too little to be aware of the zeitgeist of the 60's, too young to do more than gather information about the world of the 70's; too absorbed in the music of my fresh new adult life to fully respond to the troughs and peaks of the 80's; and perhaps forgivably complacent about the positive direction of the 90's. 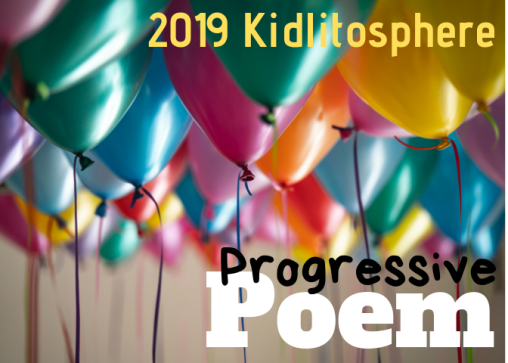 With the arrival of children and the turn of the century, my focus turned resolutely to the small daily monuments of parenting and poetry, even as towers fell and bubbles burst. All my life, it has been thoroughly comfortable for me to look out at the Big Picture and see possibility, positivity, the "arc of the moral universe...bending toward justice," rainbows, rhyme and rhythm. But this decade, this one with its high hopes (deep gratitude to all the Obamas) and harsh realities (the demise of the charter school project, the necessity to tolerate overlapping full-time commitments--is my privilege showing? I'm mortified) has already proved taxing to my optimism. Now, as I prepare to send my first-born out into a future governed by an ignorant megalomaniac surrounded by venal underlings--a giant baby with his fists full of toys--my modus operandi is failing. On the one hand, I can still go in to school and get down on the floor with 7-year-olds to hear their personal sharing: "Today I'm sad and a little worried because my dog Salty had to go back to the vet. She had surgery and now she has an infection." "I feel excited today because after school I'm going to the movie theater with my cousin." The here-and-now of long vowel patterns and two-digit addition happens within the context of the outside world past, present and future--how did the Wampanoags survive in winter? what are the threats to the coral reef? should President Obama be on a coin?--but they're manageably small. And of course I can get down on the floor with my own children--yes, you can have the car to go bake cookies with your friends today; look at you getting your 3rd black stripe at tae kwon do; what should we have on our Tuesday pasta?" But on the other hand, my certainty about the Exciting, Dependable Future has evaporated. It looks a lot more Looming and Broken right now (probably always was for most people of the world, but I didn't have perspective to see that) and thanks to my dependable but unpredictable hormonal fluctuations, my reactions are all over the place in any given week. This is my permanent discomfort: sometimes tolerable, not even noticeable in the middle of writing poetry with 2nd graders or cooking that weekly pasta, and sometimes more of an anguish, such as today when I feel completely powerless to stop what looks like a truly disastrous moment for our country--not the greatest country on earth, but the one with the greatest, most deliberate founding ideals. and those we do not love" -- shout out to my minister). world better if you position your own oxygen mask first. wisdom: moving your body makes a difference. Dance. Ready Steady Go. There's a poem percolating here but I won't have time to work on it today...preparing for a visit from Carol-Ann Hoyte and friends, staying with us tonight and marching in DC with us tomorrow! Round-up today with Violet Nesdoly, another Canadian participating in our American fit of democracy. March along with us! Thank you for these words. I feel many of these things as well, but I haven't been able to put my feelings into words, largely because I can't get past despair. I know I need to snap out of it, but so far I've had no success. Perhaps I need a word (or two or three) to guide me this year. Looming and broken...that perfectly describes how so many of us feel about the future. Taking action--ready steady go--is the only course of action. Thanks for writing this, Heidi. Thank you for these words. I am with you in so many of them. Despite the looming troubles I fear, I hope that enough of us are motivated to take action, both small and large, local and national, to make a difference. It is hard to believe that he is president. I just can't wrap my mind around someone with so little experience of using diplomacy or thinking things through running this country. He's like a toddler, wanting, wanting, lying, wanting and cheating. As the majority together, and perhaps those who voted for him and now realize it is a big mistake, I am hopeful that we will fight for what's right and deny him the power to do wrong. Your words are powerful. We are rather used to not worrying too much, and maybe it's time we learned to pay more attention. Thanks, Heidi for your strong words. Keep enjoying those seven year olds. That's the age of my older granddaughter; the younger is five. They keep me inspired to do right by them! world better if you position your own oxygen mask first." Thankfully the future comes one moment at a time. Maybe you can't imagine yourself living through the big changes. But one moment at a time, you'll make it--especially with that oxygen mask securely in place. We are blessed to have young children in our lives. It gives me perspective and hope. My own daughters do that, too. You are Ready, Steady, and always on the Go. Good luck at the March. I'm with Violet. Placing our own oxygen masks first is imperative. W'll make it because our thoughts are important and our words matter. The draft of ideas along side your Three Little Words really is a poem - to yourself and to us, a call to action and a reminder to be compassionate. Good post. I think you speak for many. I am struggling so hard teaching fifth grade. They are old enough to start paying attention. They NEED to pay attention. They need to look at what's going on and have a neutral place to process it all. How can I be neutral? What can I show them that is actually 5th grade appropriate? They already see the mess as portrayed by whatever media source their parents watch. What do I show them that is different? Is it enough to go at it all slantwise, by reading picture book biographies of civil rights leaders and activists, by inviting them to write about the good THEY will do in the world...the good THEY can (still) see in the world? So you see, I am a bit paralyzed, too. I will dance with you. I want a theme song for my word STRONG. Got any suggestions? Ready, Steady, Go seems to be a doable mantra for the year, Heidi, despite the heavy weighting of life and politics you feel. Your post was right on point and reflective enough to strike a cord beyond your inner world to us the reader. I hope you share the March from your poet's perspective. I've been watching on TV while nursing a sinus infection. Thank you for this post, Heidi. For cracking open your soul to see the self-aware, caring superstar that lies within.